Pirate Bay co-founder Peter Sunde has served his prison sentence, but that doesn't mean that the TPB-case is completely over. With many millions of euros in damages, there is still a massive debt to repay. However, Peter isn't particularly worried, as he doesn't plan to pay the movie studios and record labels a penny. 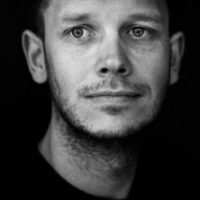 Former Pirate Bay spokesperson Peter Sunde paid the ultimate price for his involvement with the notorious pirate site, sacrificing his freedom. Since his release from prison over two years ago he has been busy with several old and new projects, ranging from Flattr to his art projects, and even a TV-show in Finland. However, even though he hasn’t been involved with TPB for nearly a decade, his past association still haunts him. Just last year a District Court in Finland ordered him to pay €350,000 ($375,000) for music shared illegally by the site’s users. Speaking on TorrentFreak’s Steal This Show podcast this week, Peter says that he wasn’t even aware that the case was ongoing until he heard the verdict. Peter explains that the court wants him to prove that he’s no longer operating The Pirate Bay. An impossible task, according to the former TPB spokesman, who used the court’s own logic in a snarky reply. “I sent the message to the court saying: you have to prove that you’re not trying to poison me. I didn’t get a reply, so I guess they are trying to poison me. I’m using their own logic now,” he says. Where most people would be devastated when told to pay hundreds of thousands of euros, Peter is no longer impressed. The Finnish case is still under appeal, but even if the damages amount stands, it’s not that big of a deal. As the result of various court cases, the former TPB spokesman already owes millions to Hollywood. In Sweden alone, the damages are already well in the range of €15 million and increase every year with a fourteen percent interest rate, he says. With these numbers the damages will be more than half a billion before he retires. In fact, it already is pretty much impossible for Peter to pay even the interest alone. It’s likely he’ll be in debt for the rest of his life. But even if he could pay, he wouldn’t. “Out of principle I would never pay them anything,” Peter says, as he doesn’t feel that he took anything from the Hollywood studios or record labels to begin with. During the Pirate Bay trial, Peter and his co-defendants presented evidence showing that piracy doesn’t cause rightsholders any significant harm, if any at all. However, The Pirate Bay defendants had to pay nonetheless, as the rightsholders argued that a proper license would have cost them too. While debts can be a real burden, Peter is relaxed. Many of his friends are struggling to pay their mortgages or student loans, but he has stopped worrying. “When you get to ten million euros, it is not like those two hundred and fifty euros per month are actually going to get you into that debt-free zone when you’re sixty. So you don’t care about it, you stop caring about it,” he says. The massive debt, in a way, provided him a sense of freedom. No matter what financial trouble he runs into, it will still be impossible to pay. And since Peter opted not to pay at all, there’s less of a burden. “So the only thing that actually happens is that you pay less. You just change the way of life. You’re actually protected. I can owe quite a lot of money. It means that I will never have to pay anything because I won’t be in a position where that’s gonna happen. “Maybe I should start a torrent site in Sweden,” Peter jokes. More details on the full episode with Peter Sunde is available at the Steal This Show website. Steal This Show S01E14: KickassTorrents Down!